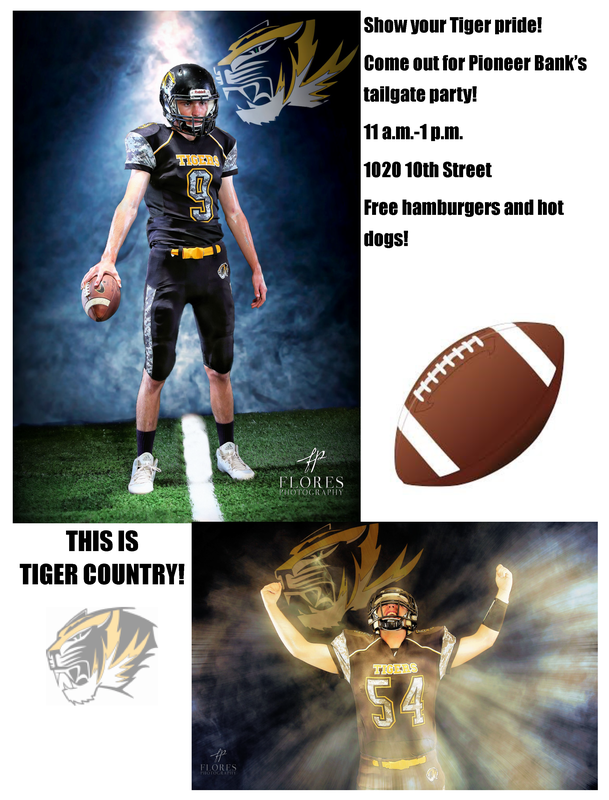 The Pioneer family in Alamogordo is so proud of the Alamogordo Tigers, they are hosting a tailgate party in their honor. Join us this Friday, August 28 from 11 a.m. – 1 p.m. for FREE hamburgers and hot dogs! While you are at the branch, be sure to enter to win an Apple Watch or tailgate kit with our Home Team Advantage! Tags: alamogordo, football, free gift, hamburger, hot dog, party, pride, tailgate, tiger, tigers. Bookmark the permalink.